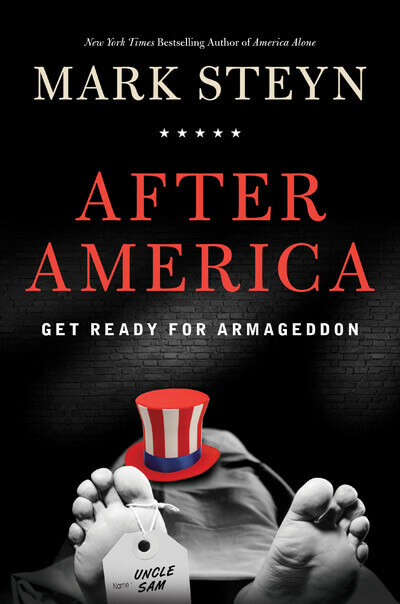 The front cover of Mark Steyn’s latest book, After America, shows the pallid corpse of Uncle Sam lying beneath a death shroud and bedecked with a toe-tag. Very telling. If – for some bizarre and inexplicable reason – you thought this book would qualify as lighthearted fare for a rainy afternoon, think again: After America is not for the faint of heart. It’s a challenging, unsettling, and eye-opening read about the depths to which our country has sunk… and what we must do to bring her back to the surface. In America Alone, Steyn predicted the economic and social collapse of the entire Western world except America. 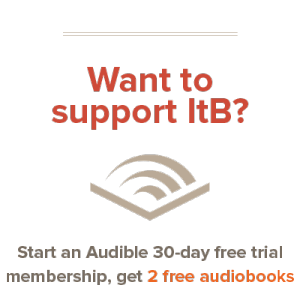 But in his latest book, Steyn notes that his warnings evidentially “proved so influential that America decided to sign up for the same program but supersized” (p. 2). We’re in the express lane to ruin – impending financial collapse; a post-modern, post-nationalist, post Christian culture determined to believe that government is the answer to everything; and foolish, pathetic policymaking in Washington. According to Steyn, America is already in decline. Next up is the fall – “fast, sudden, off the cliff” (p. 13). Who needs the horror genre? Real life is scary enough as it is. Then again, this is Mark Steyn we’re talking about here. The Mark Steyn. As another reviewer pointed out, reading After America is like having a comedian diagnose you with a deadly illness. The subject matter is dreary and chilling, to be sure; but the author’s trademark, razor-edged wit shines through, making the book funny (if not exactly fun) to read. Aside from being humorous, Steyn’s writing is lucid, compelling, and refreshingly crisp. His style is hard-hitting and powerful, without being harsh or over-strident. He turns what could have been a dry, textbook read into something that has you turning pages. And that’s a fairly significant accomplishment in my book. Chilling as it is, After America isn’t all “doom and gloom”. Towards the end, Steyn outlines what he considers the best (and only) prescription for winning America back from Big Government. Steyn believes that if America is to survive, she must 1) De-Centralize, 2) De-Governmentalize, 3) De-Regulate, 4) De-Monopolize, 5) De-Complicate, 6) De-Credentialize, 7) Dis-Entitle, 8) De-Normalize, and last but not least, 9) Do. As with America Alone, I think this is a book best reserved for older teens and adults. Mature themes (some of them sexual) are dealt with throughout, and there is a smattering of strong, crude language. In case you haven’t been paying attention, I loved After America. It’s the second of Steyn’s books to make it onto my list of favorites. At present, it’s available here on Amazon for about $16. Buy it: it’s worth every penny. This is a battle for the American idea, and it’s an epic one, but – to reprise the lamest of lamo-o lines – you can do anything you want to do. So do it. (I received this book free from the publisher in exchange for a review. Sounds like an interesting book, Corey. I’m wanting to read it if only to see how a writer could weave wit into a book like that. @Andrew: Yes, it’s pretty amazing how Steyn can be so funny even when he’s dealing with not-so-funny things. That – coupled with his clear and thoughtful writing – sets him apart from most others authors who dabble with similar subject matter.